Louis Silcox was born in Portland, Oregon and has been a resident of San Francisco since 1975. He studied Architecture at U.C. Berkeley and was also an Honors Program Student and a Student Government Officer at Brigham Young University. Louis learned the fundamentals of real estate at a leading national brokerage where he immediately distinguished himself as a top producer. He joined Sotheby's International Realty in 2003. Louis joined Compass where he continues to specialize in fine residential properties and is recognized as one of San Francisco's top producing real estate agents. He is an esteemed member of the elite TOP AGENT NETWORK. 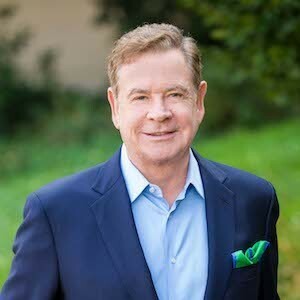 Louis has over 30 years of market knowledge and an impressive track record of selling some of San Francisco's finest properties. He has sold many landmark estates, including the most valuable, original condition, cooperative apartment in San Francisco - a property then valued in the $14 million range - as well as the most valuable Single Family Residence in San Francisco in the year 2004. In 2005, Louis sold the most valuable residence on Telegraph Hill - which was offered at $10.5 million - and in 2006 sold the most valuable cooperative apartment on Russian Hill. In 2007 Louis represented the sellers of the most valuable single-family residence ever sold in Cow Hollow as well as the most valuable property ever sold on Belvedere Island. In 2010 Louis sold the most valuable residence in Sausalito for the year. In 2011 he shattered previous city records with the sale of the penthouse atop the St. Regis Hotel, which received four offers in just two weeks and sold for $28 million. Louis continues to establish new sales records in the high-end real estate market. In the past year alone, he has set five new records. Two of those sales were private transactions. He just achieved another record sale for a client on Telegraph Hill at 1345 Montgomery Street where he obtained multiple offers, all over asking, promptly. The final sales price was $6.8 million. Louis Silcox is ranked as the #1 Realtor on Telegraph Hill by the San Francisco Association of Realtors. His support of the community is most important to him and includes contributions to The American Red Cross, UCSF Benioff Children's Hospital, AMFAR, Friends of The San Francisco Public Library, Open Hand, The Museum of Modern Art, The Asian Art Museum, Conservation International, Next Village and The Telegraph Hill/North Beach Neighborhood Association. Louis is an active member of the San Francisco Association of Realtors, the California Association of Realtors, the National Association of Realtors, the San Francisco Opera, and the San Francisco Ballet.